Protect your Fox Valley home from extreme temperatures! 1. Keep your drapes and blinds closed to help insulate your rooms from the cold radiating off windows and doors. Run your ceiling fans clockwise (looking up) to keep warm air circulating through your home. 2. Keep thermostats set at a higher level. Many of us try to save on energy bills by setting our thermostats lower at night or when we are away from our homes. In this extreme weather, it is important to maintain a consistent temperature that is 4-5 degrees higher than you would normally set in order to keep your home warm. 3. Open your cabinet doors. Keep your doors to kitchen and bathroom cabinets open so that the warm air in your home can circulate around the pipes. 4. Open faucets to a drip to keep water flowing and prevent freezing of pipes. 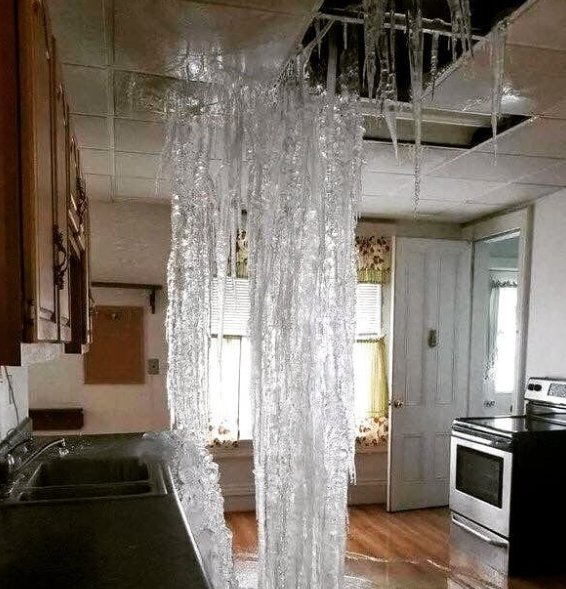 Frozen pipes can burst and cause severe damage to your home. 5. Furnace filters. Make sure your furnace filter has been newly changed for best results. 6. Outside faucets. Are all your outside faucets turned off and hoses detached? If not, you run the risk of broken pipes and spigots. If your pipes do freeze in this weather, shut off your main water valve immediately and call a plumbing professional. For more tips on weathering this extreme cold, follow us on our Facebook page.